A massive backyard spruce will be the 2016 iteration of the world's most famous Christmas tree. 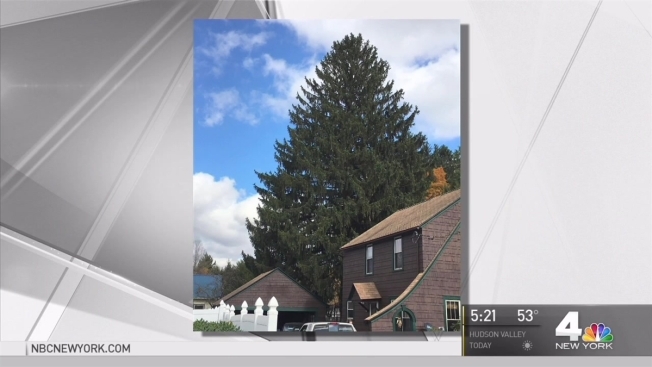 Rockefeller Center announced that a Norway spruce that sits in a yard in Oneonta, a small city southwest of Albany, will be the tree that sits in the plaza this holiday season. The building complex, which houses NBC 4 New York, teased a view from the top of the Norway spruce in a tweet on Monday morning. The tree will be cut down on Nov. 10 and will arrive in midtown Manhattan on Nov. 12. The tree will be wrapped in more than 50,000 multi-colored LED lights and topped with a Swarovski star. The tree lighting ceremony will be broadcast nationwide as part of NBC's yearly "Christmas in Rockefeller Center" special on Nov. 30. 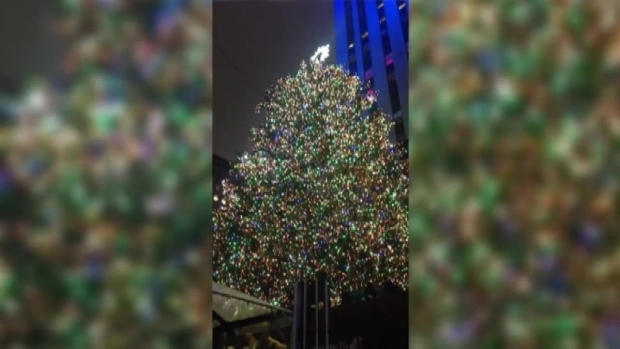 Video from NBC 4 New York of the Rockefeller Center Tree lighting Wednesday. The tree will stay on display until Jan. 7. Typically, the center's trees are milled into lumber for Habitat for Humanity after they're taken down.